“Border!”…that’s the shout we’ve heard many hundreds of times over the past fifteen odd years, whenever a Border Terrier is spotted. It was from way back then, that Wendy and I fell in love with those wiry haired bundles of mischief. I had promised back when the kids were young that when we moved into our new home at the time we could get another dog, after a gap of a few years, since Ziggy, our £7.50 rescue dog had passed away. Whilst on holiday up in the highlands or in the Lake District, away for the weekend in the Dales or just wandering around places like Helmsley for the day, we would always spot a Border or two. 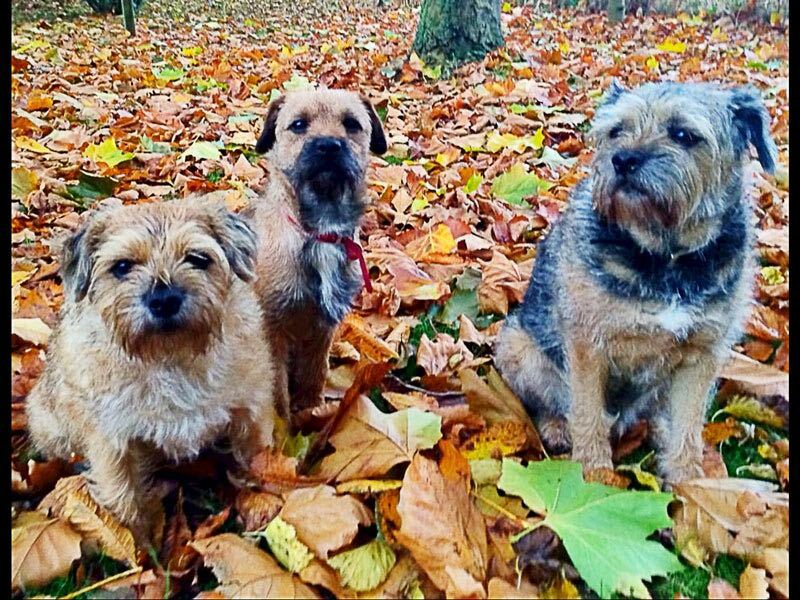 I can remember us as a family being up on holiday in the Lake District, staying in the wing of a large country house, near Bassenthwaite, when we made the decision that the Border terrier was the breed for us. Mrs. Green, who owned the property, bred borders and so for a whole week we had been around them and seen just how fantastic they were with the kids. As well as a good family dog, we were also looking for one that would cope with getting it’s legs walked off and could go out running with me too, through the never ending miles of mud on Strensall common, beside where we lived. After making the decision, we haven’t ever looked back. We have had some ups and down with them over the years, but not once have we regretted our choice of breed. I say ‘them’, because we’ve experienced four of them over the years. Phoebe, was our first, whom we picked up from Mrs. Greens place just a few weeks after that holiday in the Lakes. Phoebe was a grizzle and tan colour and was a typical border terrier in every way. She loved the rough and tough play with the kids and had an engine on her which meant that she’d run forever. You can never tell just what’s around the corner and on that fateful Saturday morning, less than a year after we brought her home, I would never have thought it was to be the last time we saw our Phoebe alive. For whatever reason, as we were running across the back of the common, she saw a man coming towards us, in the distance and she bolted away from him and back down the track we’d just come along. I watched her gallop over the brow of that hill and out of sight. We searched all weekend, but it wasn’t until late on the Sunday afternoon that our Sam found her, whilst on his bike coming back to the common to look some more. She had unfortunately taken a left turn after just one of the railway gates rather than two and was laid peacefully alongside the railway track. I buried her nearby under the shade of an enormous Oak tree and that was when I committed to ensure that our family wasn’t going to go through such an experience ever again. After trawling the internet, the very next day, we headed off to buy another border puppy and hours later we returned with ‘Scout’. It wasn’t long after that ‘Elsa’ arrived too and in a moment of madness, after many years of being hounded by the women folk, ’Boo’ joined the gang. With their strong and often stubborn will, their endless amounts of energy and their wonderfully playful characters, life out here in the country seems to suit them down to the ground.